UPDATE (August 5th): A new, improved, and dedicated Disney Infinity Compatibility Guide has been added to the site! Head over to the page to check it out! It’s worth a look! So everyone is excited about the Disney Infinity 2.0 release, but what does that mean about our current Disney Infinity merchandise? Well let’s go through one-by-one to see what we know so far. Obviously Disney Infinity is about the figures. 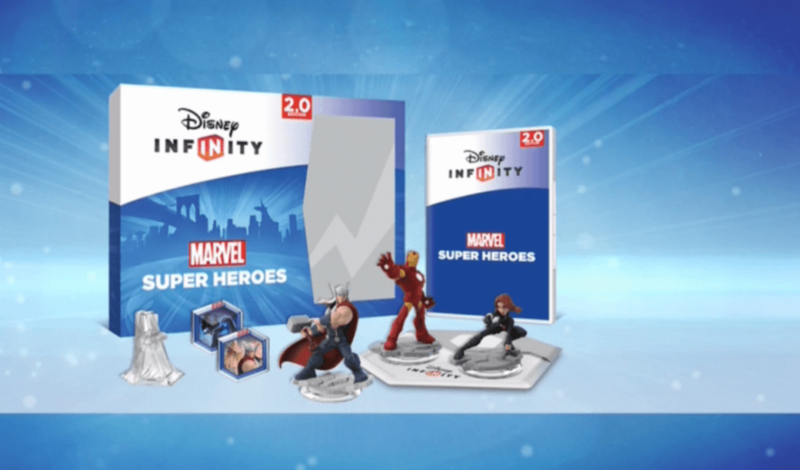 All figures will be compatible with Disney Infinity 2.0. In addition, it appears that all figures from Disney Infinity 1 will incorporate the stat trees in some form. Again, all Power Discs will be forward compatible so there are no fears on losing your power disc collections. Disney said this was a hard one, but they said that all Disney Infinity toy boxes will be able to be imported into the new game! This is where it gets tricky. Disney has officially announced that all Figures, Power Discs, and Toy Boxes will carry over. But they never quite addressed the Play Setes. Even John Blackburn said during the press conference, “Everything from 1 is compatible with 2 right down to the base. So everything is compatible.” So that would seem that settles it right? But again it would be nice to hear flat out that the Play Sets. So what has Disney said publicly after the announcement? @TheLazyMudkip We'll have more to announce about this later on, so stay tuned! So that’s not as reassuring as just saying yes. Editorial Take: Due to the fact that the content for the Play Sets is stored on the game disc itself, its a bit harder to bring them to the new game. The easiest way would just to include the data on the new disc, but obviously that be taking up a lot of resources from the new game. I could see them perhaps doing what Rock Band did in the past and letting you re-purchase the play sets with a small $1-$3 fee to download them from the servers. Do you need to purchase a new base for Disney Infinity 2.0? Depending on your platform, you may not have to! The official response is that you can play Disney Infinity 2.0 using your old Disney Infinity 1.0 base if you are playing on the same platform. Remember though that not all bases are compatible with all systems. Essentially it is this simple. The Xbox systems require the Xbox version base. Everything else can be interchangeable. So the Nintendo Wii/Wii U/Playstation3/Playstation 4 version bases are all interchangeable. The Xbox 360 is interchangeable with the new Xbox 360 system. @InDisGeoff Yes, you'll be able to use your Xbox 360 Disney Infinity Base on your Xbox One for the 2.0 edition of Disney Infinity! So the next questions is how are you going to get the game if you already have the base? No details yet but there appears to be two different options coming. One is a Toy Box only mode. So if you enjoy the Toy Box and don’t really need anything else you’ll be able to buy just that. @Shifilation We are working out the details, so stay tuned for more news! So there you have it! Hopefully that answers everyones questions regarding the compatibility of the games and hardware.